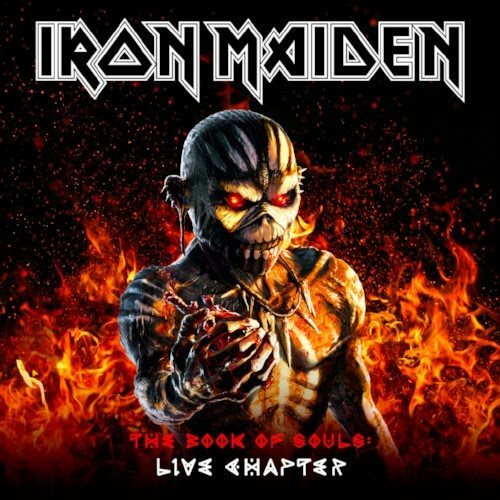 Warner Music will release IRON MAIDEN's "The Book Of Souls: Live Chapter" on November 17 worldwide (through BMG in the USA). This live recording comprises fifteen songs captured during "The Book Of Souls World Tour", which covered thirty-nine countries across six continents during 2016 and 2017, and was seen by over two million fans. "The Book Of Souls: Live Chapter" will be released physically in CD, deluxe CD and vinyl audio formats, with the concert film available to stream free online or as a digital download. 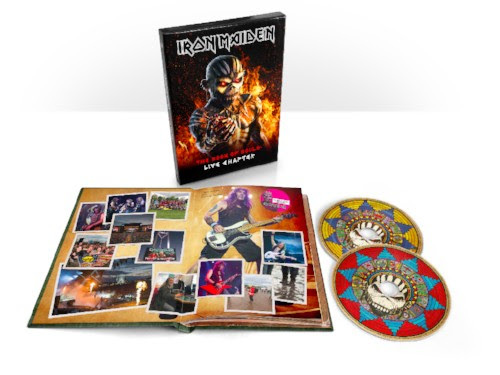 Produced by Tony Newton and IRON MAIDEN founder member and bass player Steve Harris, the album is based on this year's set list and is a faithful record of the epic show, including six songs from "The Book Of Souls", the band's most recent studio album, along with many other classics and fan favorites. 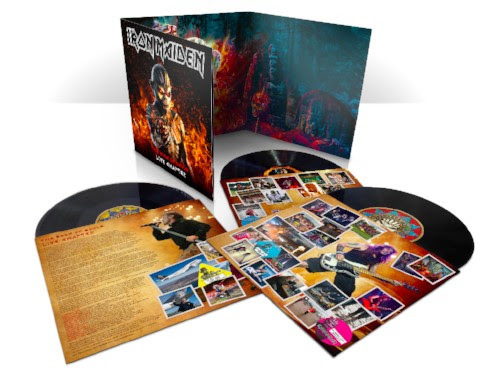 Steve comments: "We spent a huge amount of time working on this as I wanted to get it as close to the MAIDEN live experience as I possibly could and to represent our fans from different parts of the world. This meant listening to literally hours upon hours of tapes from every show, to select material and construct a sound that would run consistently across the whole album and capture the excitement of a new country like El Salvador alongside such regular favourites as Donington or Wacken." 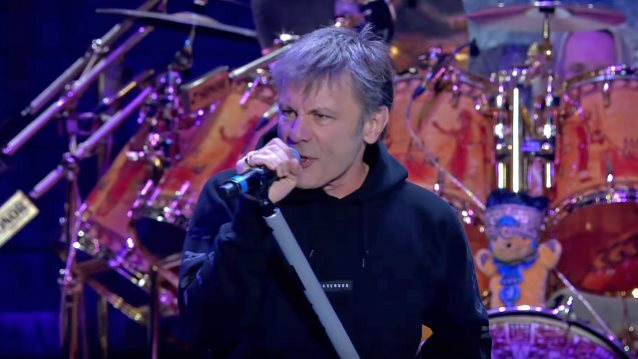 MAIDEN manager Rod Smallwood adds: "'The Book Of Souls' world tour was a huge undertaking, not least for Bruce [Dickinson, vocals] who started the tour singing in public for the very first time since recovering from throat cancer. He also piloted Ed Force One, upgraded last year from a Boeing 757 to a 747 so we could go further and faster to visit some fantastic cities and fans all round the world. This year continued that excitement bringing us our most successful North American and U.K. tours ever. It was a very special tour in a great many ways so we felt we wanted to document it for both ourselves and for our fans. Steve has done an incredible job putting together this set from cities around the world and we've made sure the deluxe CD will be available in a matching book format to 'The Book of Souls' release. On top of all that, the release will be celebrated by an event that is a MAIDEN first: a free live streaming premiere of the concert film, as a thank you to our loyal fans around the world. We hope that the global MAIDEN community will all enjoy coming together to watch this special event online. Many of you will be in it as there is footage from a whole host of the places we played on this momentous tour." The album will replicate "The Book Of Souls" original formats and be issued as a limited edition deluxe 2CD hardcase Book, a regular 2CD album, a triple black vinyl LP, and digital download in high resolution audio (48khz/24 bit) including Mastered for iTunes (MFiT) version. A digital download of the concert film will also be available to purchase following its free online premiere.